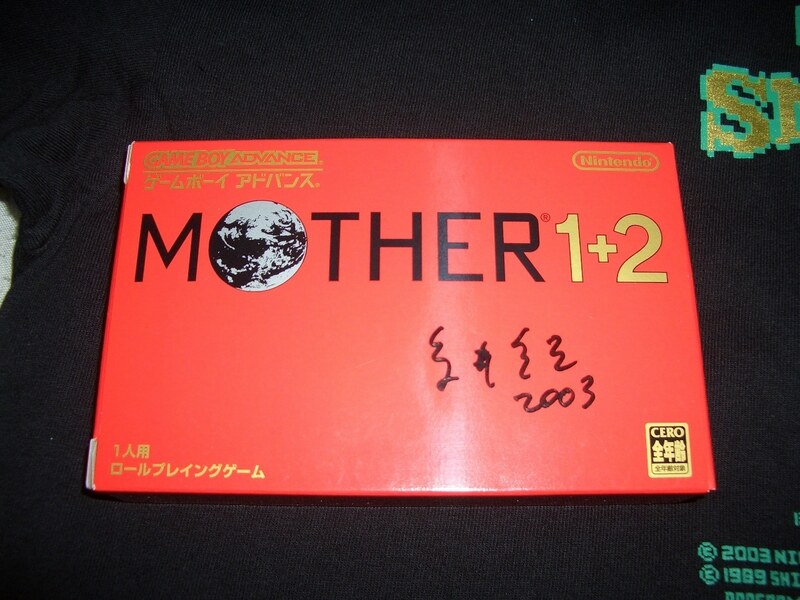 A few weeks back, a really cool Japanese auction caught fans’ eyes – a bunch of rare MOTEHR 1+2 event stuff, including a copy of MOTHER 1+2 signed by Shigesato Itoi himself. After a few days of power-bidding and lame mistakes by some companies, eventually fellow fan and avid collector neonix won the auction. It arrived a week or so ago, and here are the goodies! The big cheese. 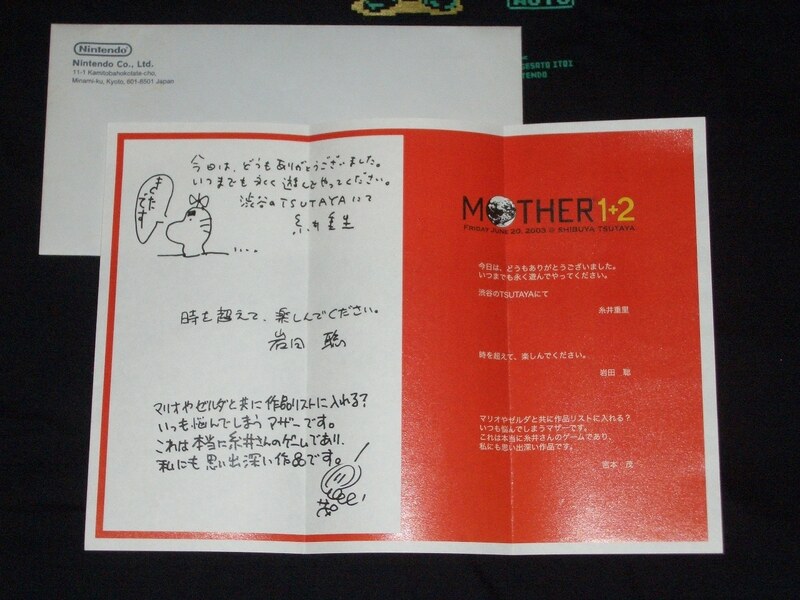 MOTHER 1+2 signed by Shigesato Itoi himself. Interestingly enough, this real deal Saturn Valley Express does have much better quality images than the PDF that Mato had posted. 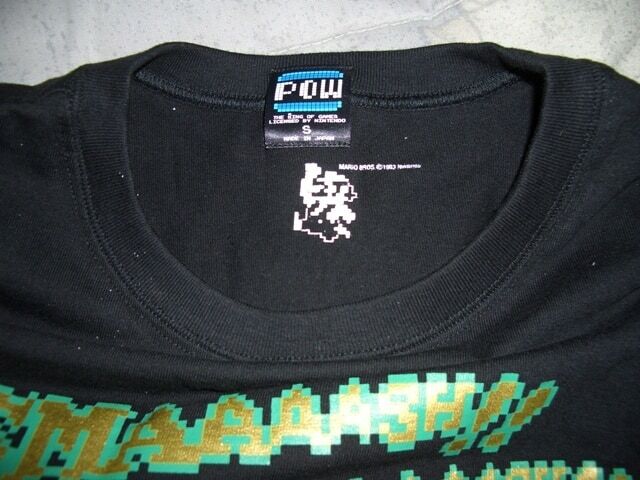 I guess the PDF had blurry images to reduce file size and/or stop people from counterfeiting merch. I was surprised when I saw this MOTHER Encyclopedia inside the package. It wasn’t pictured in the auction. It’s the re-release, obviously since it’s from the M1+2 party. 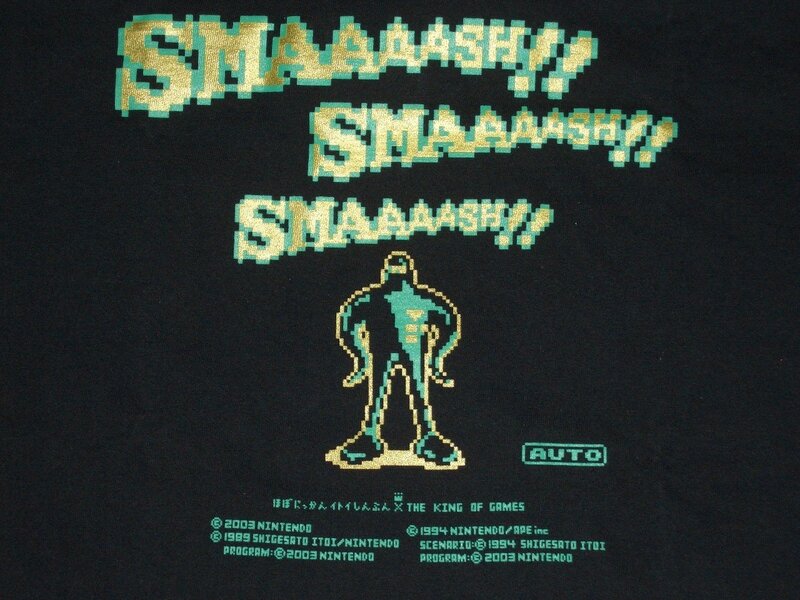 The special edition green and gold SMAAAASH!! shirt! Pics of front, back, and tag. Comparison with the purple/silver shirt. My thoughts: This is the part where I know you don’t care about what I have to say but I type anyway. Money well spent, to be really honest. I’m very happy with this lot of extremely rare merch. It had a quite a few surprises too. When I bid on the auction, it hadn’t crossed my mind at first that the shirt could be the green one, but Pigmask Private had pointed out the possibility after the auction ended. 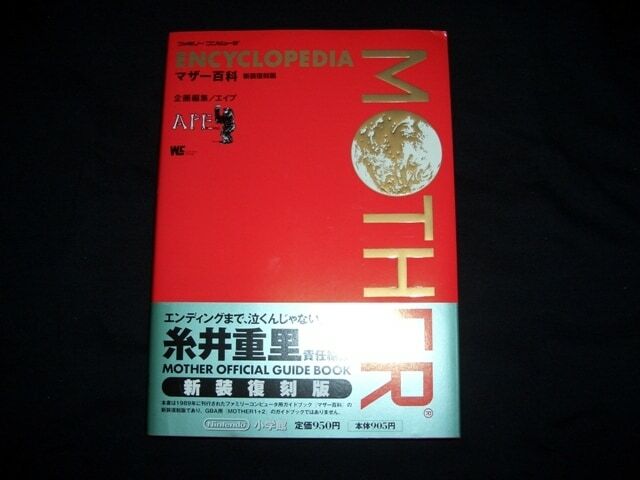 I didn’t know I was getting a MOTHER Encyclopedia until right when I opened the box and saw it. 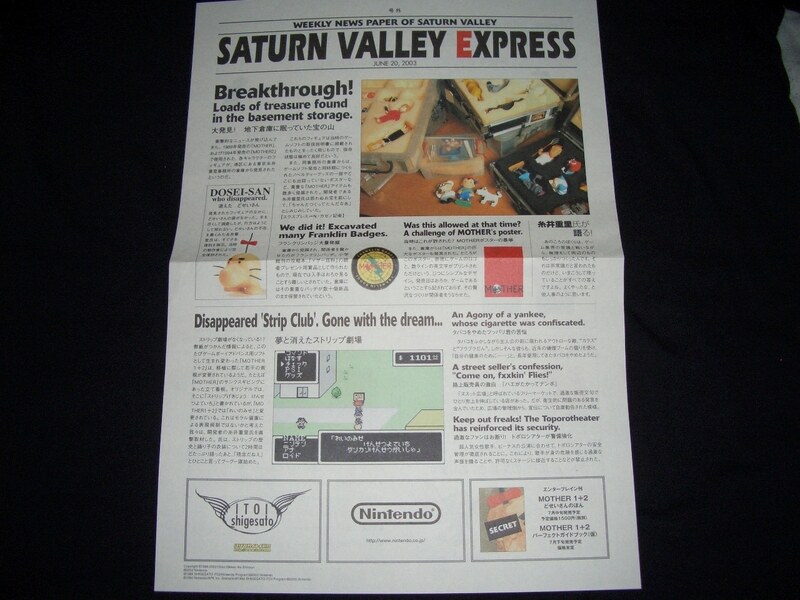 And I wasn’t sure if the official printed Saturn valley Express paper had higher quality images, but this solved that mystery. 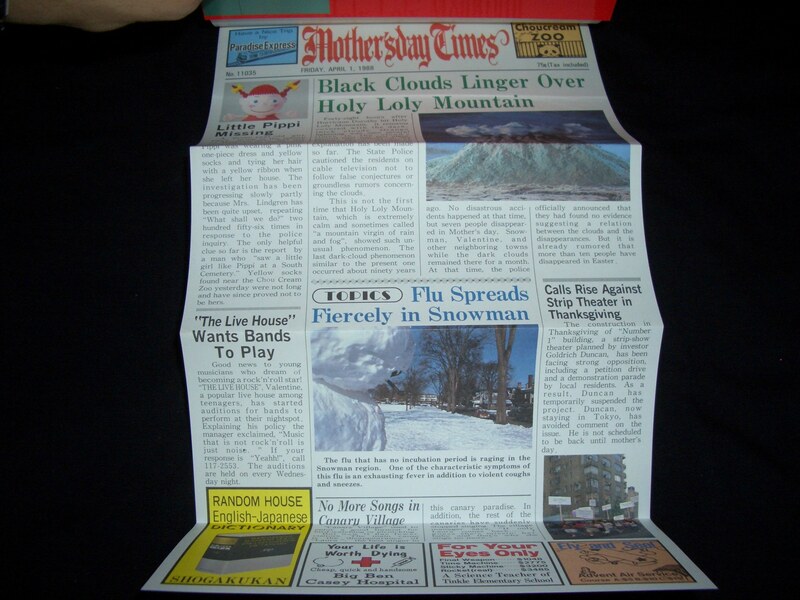 I love how newspapers are always used for MOTHER stuff, the foldout in the encyclopedia is completely in English too! So I gave it a quick read. Do we have a scan of it already? If not, I’m going to upload one. I’ll be scanning the SV Express page for sure. I’m not sure about the latter thing. The photo I took is shows detail and is readable, but a scan makes it easier to counterfeit, and it looks and feel not too hard to make a fake. I’ll have to think about it. 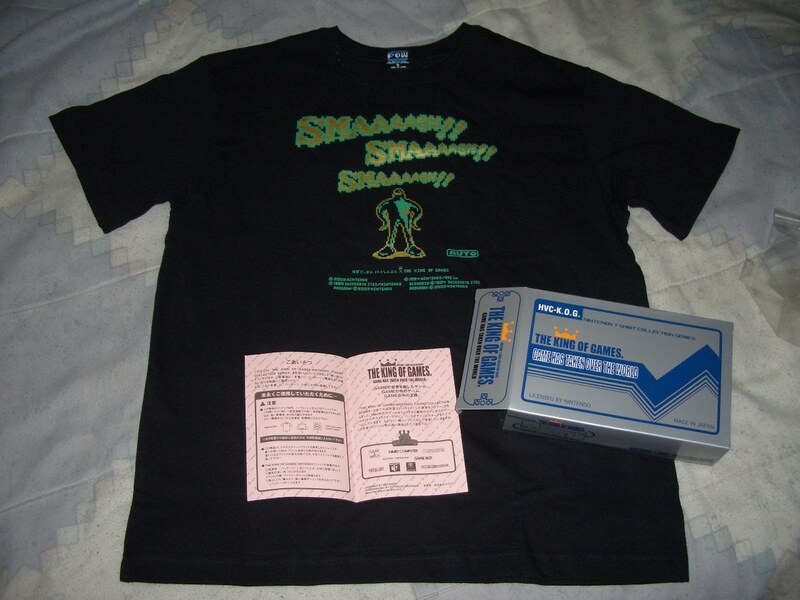 It’s really cool how neonix not only got all the awesome stuff we expected, but also got one of those awesome strategy guides AND one of the super-duper-rare green Starman T-shirts too! 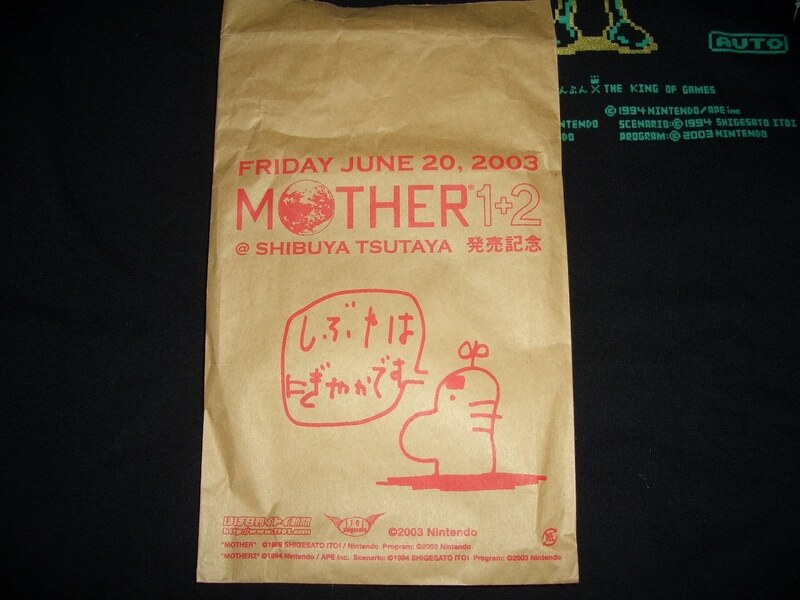 And maybe if we keep finding stuff from the M1+2 event we can recreate it someday 😛 I know who can play Itoi! Just such an amazing haul. 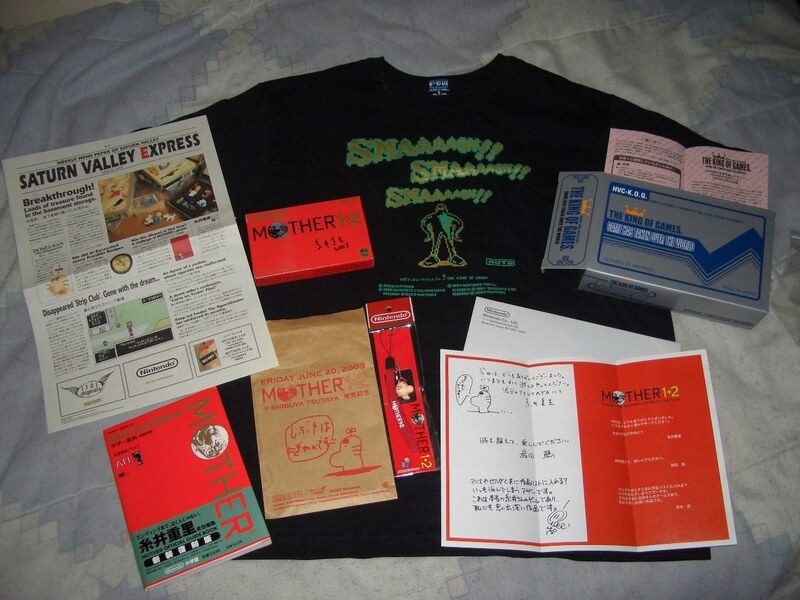 I read somewhere that some of these items are amongst the top 20 rarest Mother merchandise. It was a machine translation but I believe the autographed game and the flyers were the rarities. The shirt is just plain awesome! Did anyone notice that the newspaper inside the encyclopedia is dated April 1st? Darn we just missed it’s imaginary 20th birthday. This is such a great find! Congrats again on winning the auction! You brought up a valid concern, regarding the counterfeiting. My offer is still on the table to edit the scans, but I would still need a high quality scan to work with. I could then, in turn, post a lower quality PDF for the web. There are other options as well. But if there’s a will, there’s always a way, giving the massive amount of art theft and counterfeiting there’s been all over the internet. I completely understand and support your decision if you choose not to share any scans. 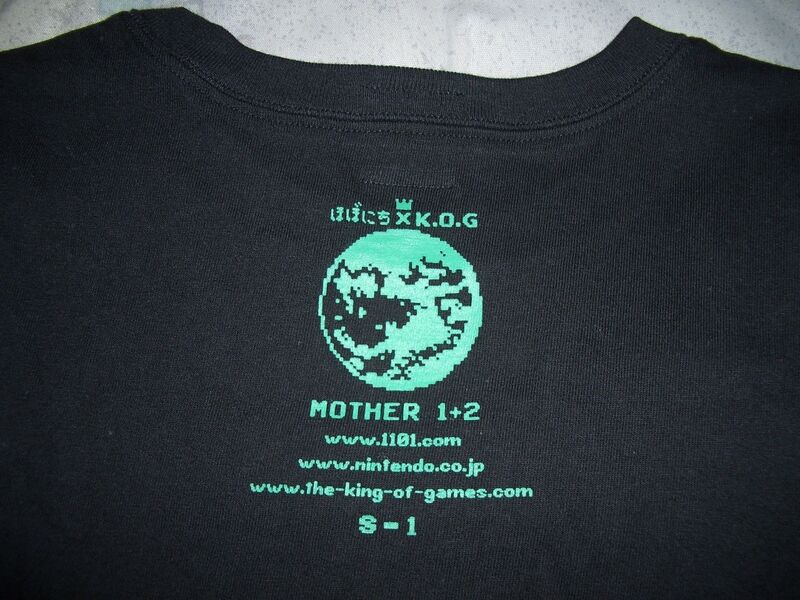 It’d be cool if we reappropriated Mother’s day as a celebration of the series. Lmao. Thanks for the congrats guys. I wouldn’t say it’s really an achievement, just some (awesome) things obtained. @neonix: Have you tried putting heavy cardstock or cardboard on the backside to prevent the light from shining through during the scanning process? 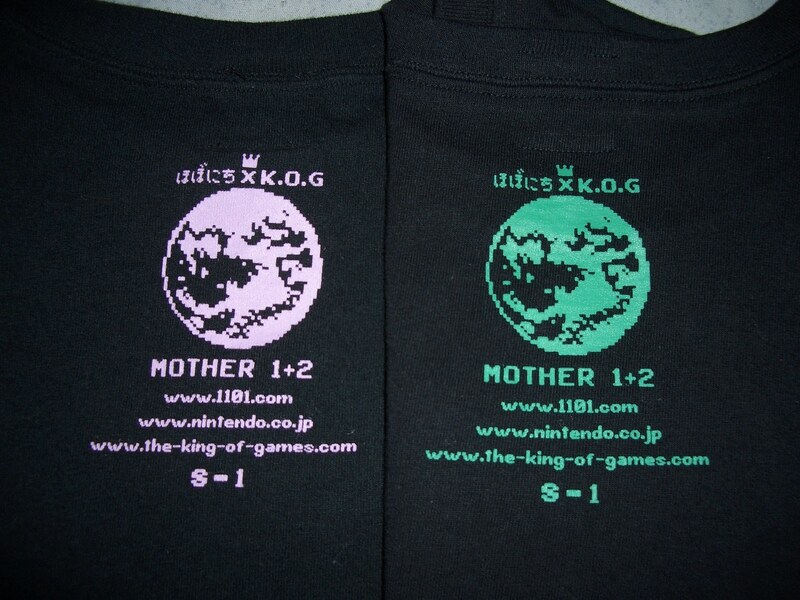 Not that anyone actually cares, but on close examination of the t-shirts, the purple edition and the green edition, have very slight barely noticeable differences leading me to believe that while exactly the same in design they were made from two separate sets of screens. @Sweet-Michiko: I had tried plain white paper, but I see how black paper might work. I’ll have to give it a shot when I’m at home later. @Nesskid: I’m a little intrigued. What are the differences? I can’t spot any. If you look in the upper right hand corner on the back of the shirts, of the globe, directly below the letter “O” in K.O.G. you’ll notice the two dots there are slightly different in each image. Also based on the appearance of the shirts I would say they used a higher mesh count for the green shirts, you can see slightly on the front of the shirt and very well on the back of the shirt what appear to be vertical and horizontal lines in the image, this is an unfortunate side effect of using thread counts in the 300s most people never notice. I’m not sure if that’s actually a difference. It looks more like the camera angle and position of the shirt makes them look different. But anyway, you seem like you know a lot about the printing method, do you work with textiles or something? I have experience in printing t-shirts and signage. 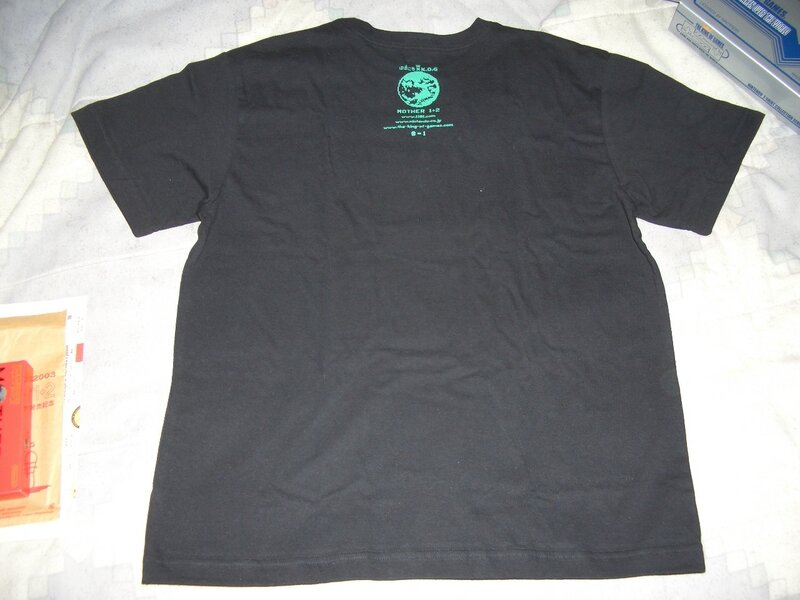 Because the shirts are individually screened and they came from such small print runs, it’s entirely possible for some shirts to have some minor flaws, for the lack of a better description. As long as the screens are properly cleaned, the same image can be used over and over for many print runs. But as the image starts breaking down, you start to see more and more flaws in the later print runs. 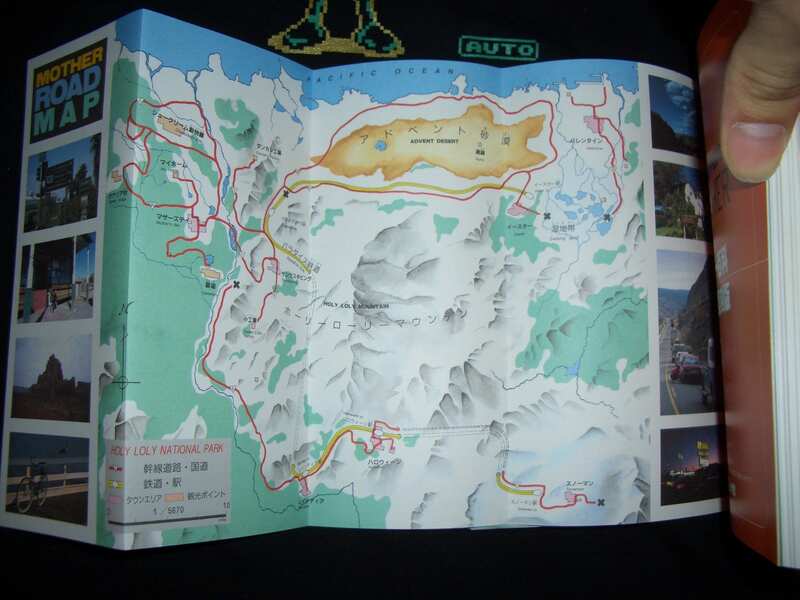 @Sweet-Michiko, the green one was printed second and has less flaws leading me to believe it was a new screen. @Neonix yes I screen print t-shirt and other such things for my job. wooooooooowwwwww! nice job neonix! 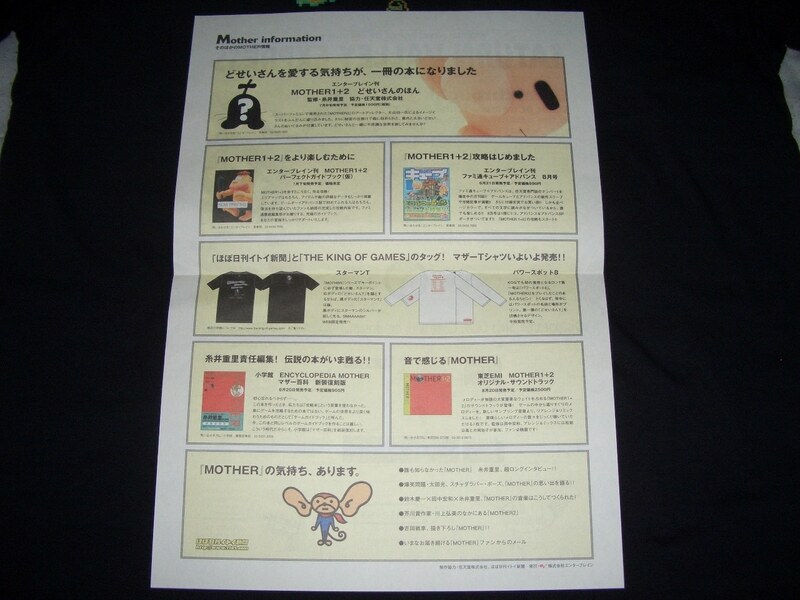 now all you need is the mother 2 dragon jacket!! !